1. One of the tendons bounding the popliteal space on either side; the medial hamstring comprises the tendons of the semimembranosus and semitendinosus muscles; the lateral hamstring is the tendon of the biceps femoris muscle. Hamstring muscles (a) have origin from the ischial tuberosity, (b) act across (at) both the hip and knee joints (producing extension and flexion, respectively), and (c) are innervated by the tibial portion of the sciatic nerve. The medial hamstring contributes to medial rotation of the leg at the flexed knee joint, whereas the lateral hamstring contributes to lateral rotation. 2. In domestic animals, the combined tendons of the superficial digital flexor, triceps surae, biceps femoris, and semitendinosus muscles, that are referred to as the common calcanean tendon (tendo calcaneus communis); it is attached to the tuber calcis of the hock. one of the three tendons from the three hamstring muscles in the back of the thigh. The one lateral and the two medial hamstring tendons connect the hamstring muscles to the knee. One of the tendons bounding the popliteal space on either side; the medial hamstring comprises the tendons of the semimembranosus, semitendinosus, gracilis, and sartorius muscles; the lateral hamstring is the tendon of the biceps femoris muscle. Hamstring muscles (a) have origin from the ischial tuberosity, (b) act across (at) both the hip and knee joints (producing extension and flexion, respectively), and (c) are innervated by the tibial portion of the sciatic nerve. The medial hamstring contributes to medial rotation of the leg at the flexed knee joint, whereas the lateral hamstring contributes to lateral rotation. a sheet, cord or band of strong white fibrous tissue that connects a muscle to a bone or other structure. When the muscle contracts, or shortens, it pulls on the tendon. Tendons serve to convey an action to a remote site, change the direction of pull and focus the force. Sheetlike tendons (aponeuroses) serve to support and squeeze, cordlike ones to act on joints. See also cunean tendon. chronic tendinitis of the superficial flexor tendons, usually of the front limbs, of a horse. The horse is lame or inclined to lameness, the tendon is thickened and is visibly enlarged. It may be painful on palpation in the early, acute stages. focal metaplasia with the formation of cartilage in tendons causes no apparent harm and is considered to be normal. an inherited contracture of multiple tendons is identified in cattle. The joints are fixed in extension or flexion and cause serious dystocia. See also akabane virus disease. permanent contraction of a tendon caused by chronic tendinitis. Most commonly of the flexor tendons of the digit in the horse. The action of the affected limb is restricted and the limb is not fully extended at rest causing the animal to stand up on its toe. Called also contracted tendons. tendons of the superficial and deep flexor muscles of the digit. Commonly strained, lacerated and separated in the racing horse. done in horses with badly torn or ruptured flexor tendons. Autologous grafts are taken from the lateral digital extensor tendon. a core of fibrous tissue within the biceps muscle of horses which serves a significant role in the stay apparatus. 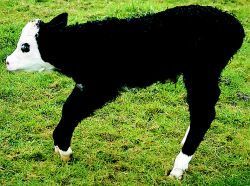 slipping of the superficial flexor tendon of the hindlimb of the horse off the tuber calcis, usually in the medial direction; also occurs rarely in dogs and ostriches. See also perosis. a pathological abnormality and usually attended by abnormality of movement. See also tendon ossification (below). occurs extensively in gallinaceous birds in the tendons of the legs and feet, the wings and the epaxial musculature. Although the ossification may be extensive the birds are normal and the reasons for the changes are unknown. the tendon of insertion of the two abdominal recti muscles on to the pubis. a fluid-filled sleeve that resembles a synovial bursa wrapped around the tendon so as to form a continuous sheath, except for the mesotendon. performed by slitting the superficial flexor tendon (or the suspensory ligament) along its long axis and from lateral to medial sides as a treatment for tendinitis. The objective is to stimulate vascularization and hasten repair. the injury caused to flexor tendons in the horse during racing. Most commonly affected is the superficial flexor tendon in the front limb. See also bowed tendon (above). Called also sprained tendon. a vertical median sheet which hangs from the pubic symphysis and provides an origin for the medial thigh muscles. The specimens were mounted with the ischium potted in a custom jig and the hamstring tendons oriented longitudinally in a physiologic direction. If we compare these results, simultaneous arthroscopic ACL and PCL reconstruction with hamstring tendon autograft significantly improved stability in multiligamentous knee injuries with minimal residual laxity. A five-year comparison of patellar tendon versus four-strand hamstring tendon autograft for arthroscopic reconstruction of the ACL. Patellar versus hamstring tendons in anterior cruciate ligament reconstruction: a meta-analysis. Ipsilateral bone-patellar tendon-bone (BPTB) autografts were used for reconstruction in 72 patients; the remaining 41 patients, referred to as the hamstring tendon autograft (HT) group, had reconstruction with either ipsilateral triple semitendinosus autografts (32) or quadruple semitendinous autografts (9). 1998), Hamstring tendon fixation using interference screws: a biomechanical study in calf tibial bone. To extend your back thigh think of pulling up from the hamstring tendon of your outer back knee to your buttock. Injuries will force Ball to shuffle the pack again with central defender and newly-appointed skipper Steven Caldwell ruled out with a hamstring tendon problem and Julio Arca almost certainly missing with a hamstring injury. We use a knife to skin in a ring around the hind leg, being careful not to cut the hamstring tendon. The band is wide enough to disperse tension over the hamstring tendon and allow for more comfortable wear. He said: "Darren's problem seems to be a degenerative condition of the left hamstring tendon, giving rise to pain when under load. I ended up having shoulder surgery as well as repairing a hamstring tendon tear so it was a double whammy," he said.